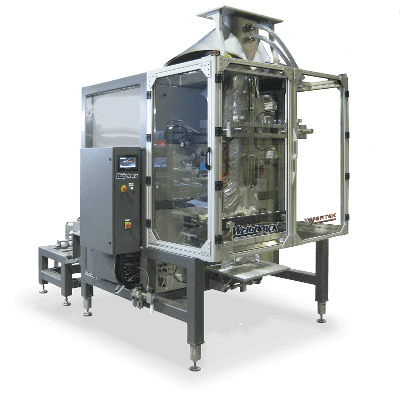 WeighPack manufactures a wide range of packaging machines specifically designed for bagging, wrapping or container filling pet food and packaging pet treats including kibbles, jerky, strips, sticks and extruded treats. Stand-up pouch packaging has become extremely popular in the pet food industry; our Swifty Bagger can automatically fill and seal an assortment of pet products into doy and quad styls bags with zipper closures. Our packaging machines are specifically designed to handle all your pet packaging needs. The easiest vertical form fill and seal bagger on the market for pet food packaging. Our vertical form fill and seal baggers are as efficient as they are effective while producing a wide range of package styles. Available in two categories, our vertical form fill and seal baggers are all extremely user-friendly and were designed with service-ability and clean-ability in mind. We offer pre-made bagging solutions for every budget. Fill and seal stand up pouches (SUP, SURP) and roll stock stand-up bags with the Swifty Bagger™ or R2B™ Bagger. Designed for ease of use, cleaning and servicing, these baggers offer solutions for both high speed and entry level packaging needs. Available in different models, the Swifty Bagger™ and R2B™ Bagger run stand-up bags, gusset, and flat bottom, with or without zipper closure. Flow wrapping just got a lot more affordable. 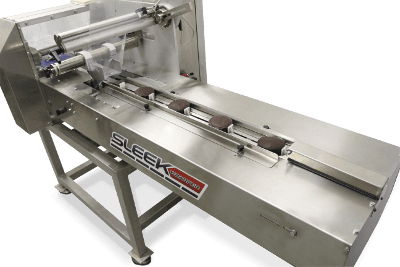 The SleekWrapper™ is a compact and sturdy flow wrapping machine great for your pet food packaging applications. 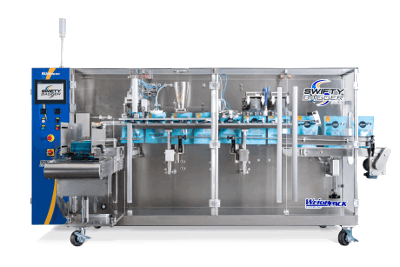 Servo-drive for precise positioning and smooth acceleration – deceleration, combined with clean-ability and service-ability features makes the SleekWrapper™ a dependable flow wrapper. 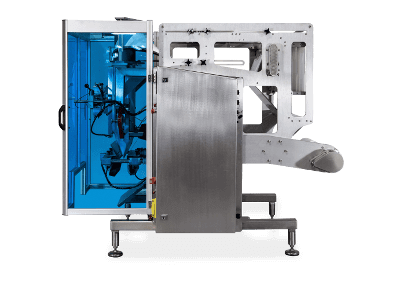 Engineered for your bulk pet food packaging, the VerTek™ 2400 vertical form fill and seal bagger is designed for service-ability, clean-ability, and ease of use. This pneumatically driven automatic vertical bagging machine comes standard with tool-less removable bag forming tube, easy to adjust pull belts, color touch screen, and leading edge PLC controls. Perfect for large bags of pet food!